Like its name infers, Anna Maria Island is surrounded by water. 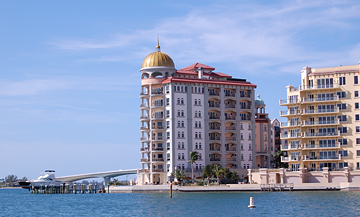 From the Gulf of Mexico to the west, Tampa Bay and Anna Maria Sound to the east and Sarasota Bay to the south, the Island’s enormous appeal is thanks mainly to its friendly, easy-going inhabitants and laid-back tropical lifestyle. Anna Maria Island’s seven and one-half miles of magnificent white-sand beaches extend from Tampa Bay in the north to Longboat Key Pass at its southernmost tip. 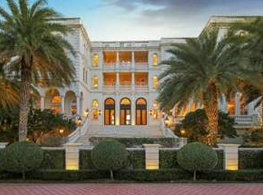 Each of three small villages—Anna Maria in the north, Holmes Beach at mid-island and Bradenton Beach to the south—boasts its own special character. Throughout the island, narrow winding streets give way to lush tropical growth that embellishes a mixture of contemporary and historic buildings. Anglers of all ages fish from rustic piers while sailboats skim the azure blue coastline. Anna Maria Island is an “Old Florida” beach resort that families love to visit year after year.